West CPM is a full service San Diego mechanical contractor with the ability to design and build projects retrofitting HVAC systems for improved efficiencies and operations. West CPM is also a service contractor providing preventative maintenance programs, service, and repair for Heating, Ventilation, and Air-Conditioning. We are a major commercial, industrial retrofit, and new construction contractor. Quality workmanship, complete system knowledge, and the ability to meet schedules has made West CPM a leader in the mechanical contracting industry. 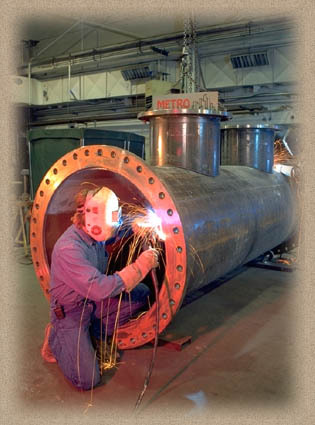 All projects done by West CPM are of equal importance and are treated the same large or small. Cost engineering is a major factor in all projects done by West CPM. With ongoing training of Journeyman and Apprentices from the Plumbers and Pipefitters Local 230 and the Sheet Metal Workers' Local 206, we maintain the most current technology and procedures. West CPM is now a certified 8a contractor. We are mechanical contractors that have been serving San Diego county since 1988.